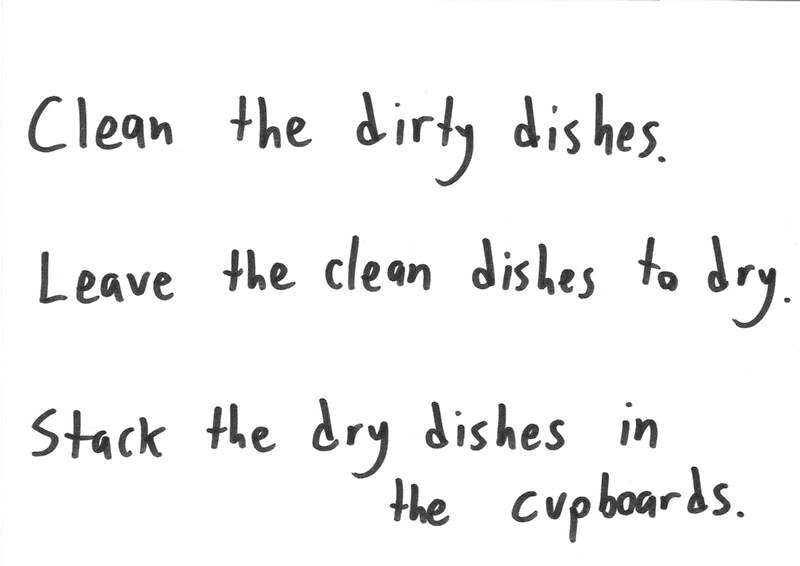 Are You a Dish-Washing Robot? On Friday I realized—yet again—that my too-clever-for-their-own-good students were finding ways to answer questions without understanding the ideas. That’s all true, so far as it goes, but it’s as opaque and sinister as the tax code. “Math is supposed to make sense!” I told them, and in my flailing to explain why, I found myself reaching for my favorite rhetorical tool: the overly-detailed analogy. 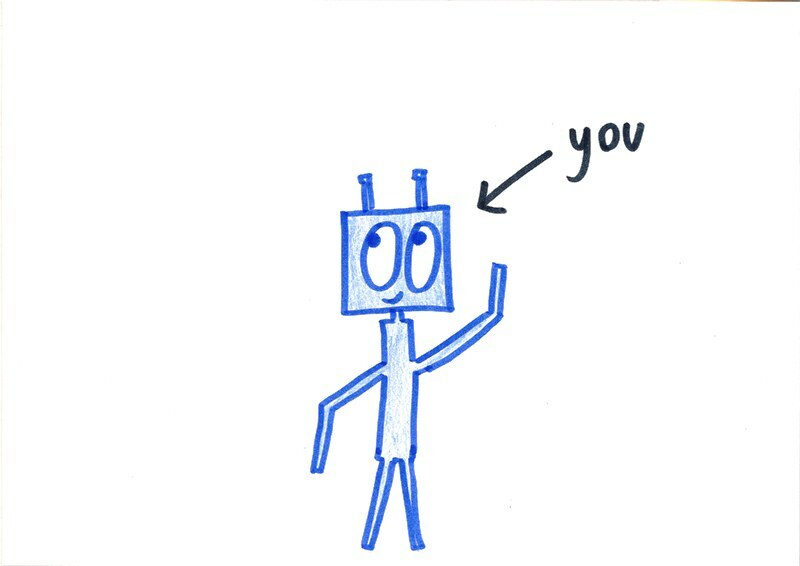 So, to see what math class is like for memorization-driven students, imagine that you’re a household robot. Your job is to clean the dishes. 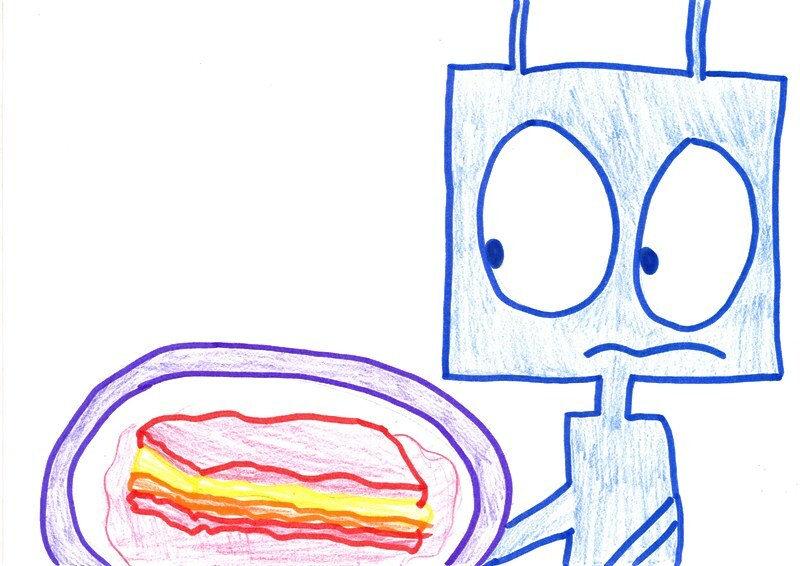 Now, you don’t know anything about food, meals, or human culinary practices—you’re a robot, after all. All you know is what you’re told. And your only wish in life is to follow your instructions, and to carry out the right procedures. Of course, you don’t know what dishes are for (decoration? sport?). You don’t know how they get dirty (carelessness?). You don’t know the point of cleaning them (don’t they keep getting dirty?). 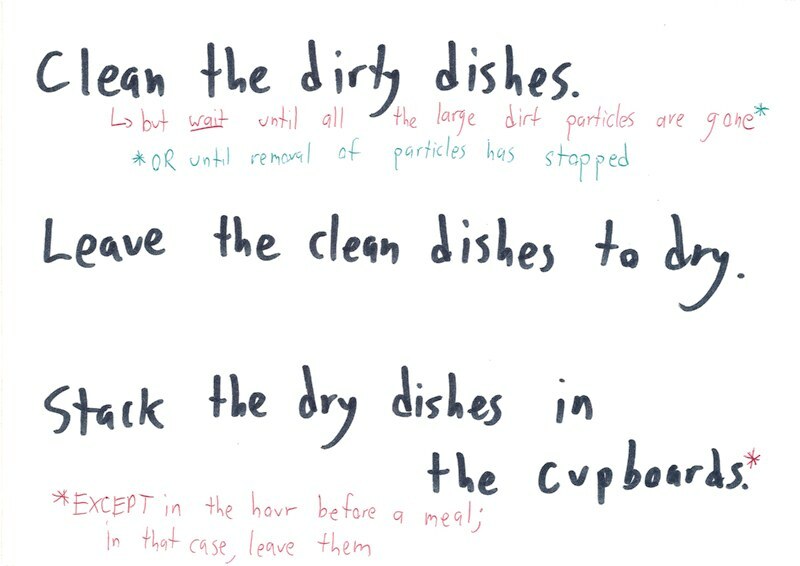 And you don’t know why they belong in the cupboards afterwards (they’re hidden when clean and displayed when dirty?). You just know that these are the steps. And you follow steps. You’re a good robot. You’re confused. 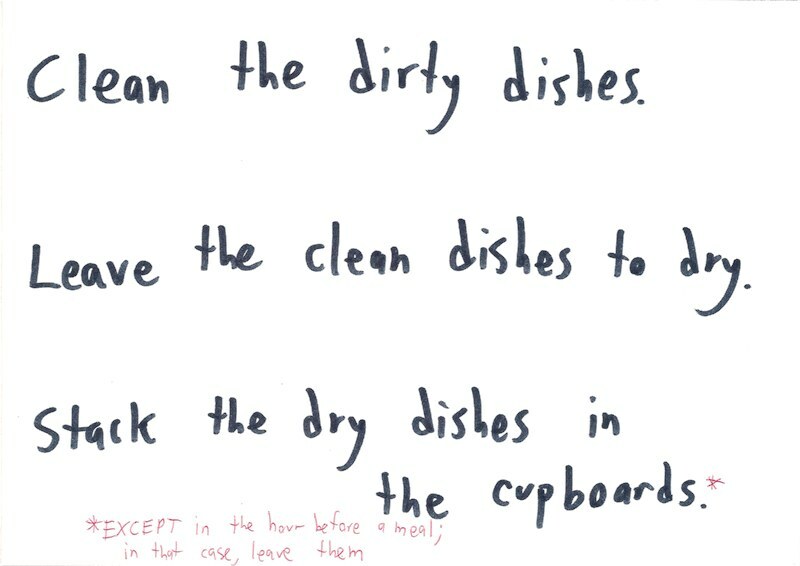 Weren’t you just following the rule that says ‘Stack the dry dishes’? Okay. Weird, and contradictory, but whatever. One exception isn’t so hard to learn. A little later, you notice the plates getting dirty. There’s all kinds of lumpy organic stuff piling up on them. So you grab them and start cleaning. 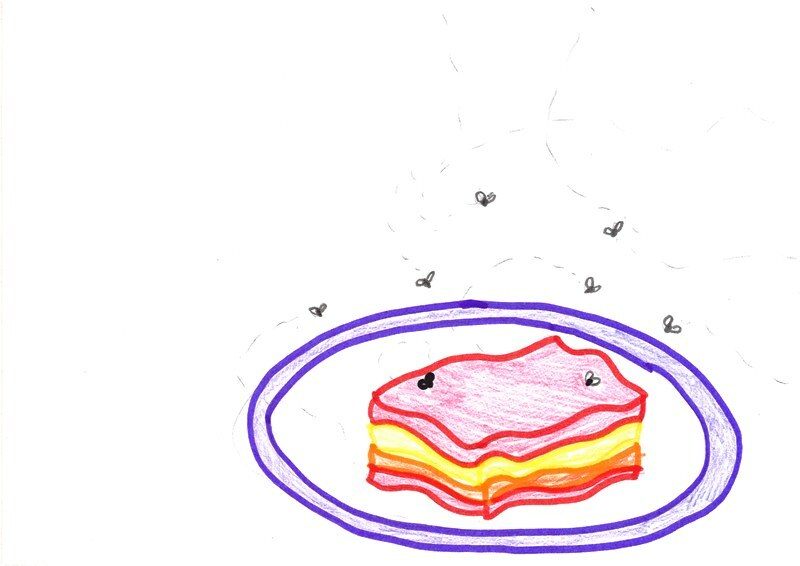 What’s all this “lasagna” talk? Isn’t this organic dirt on the dishes? Aren’t dirty dishes supposed to be cleaned? Isn’t that, like, your entire job? “Wait until the large dirt particles are gone?” How paradoxical. 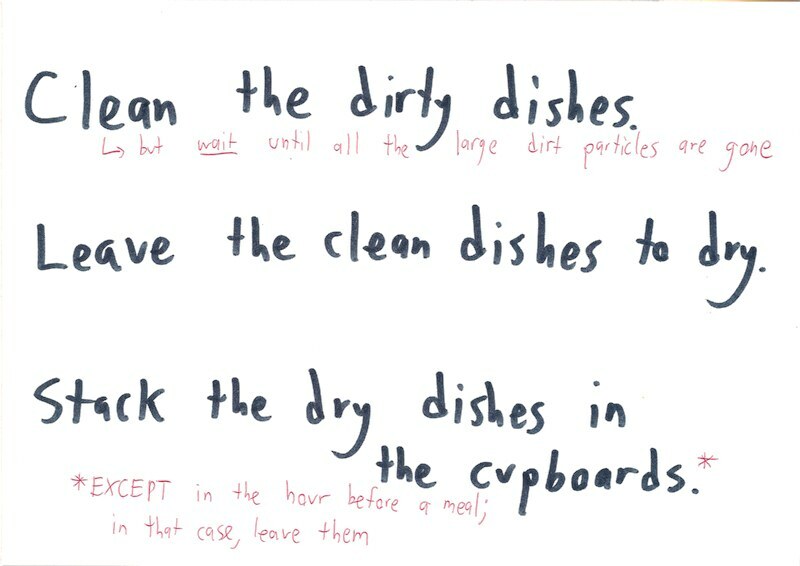 You’re supposed to focus your cleaning on the less dirty dishes, waiting for the really dirty dishes to magically clean themselves halfway? Well, no matter. Strange and inconsistent rules are still rules, and—being a good robot—you follow rules. You look at it. It’s still got lots of dirt on it. Didn’t they say not to clean it if it’s got such big particles left? You’re starting to get anxious now. What once seemed a simple scheme of rules has grown rather complicated. You could really use some encouragement for your efforts, and so you leap at the first chance to put this newly modified rule into action. The removal of particles on one dish has stopped, so you begin to clean it. It all seems cruelly arbitrary. 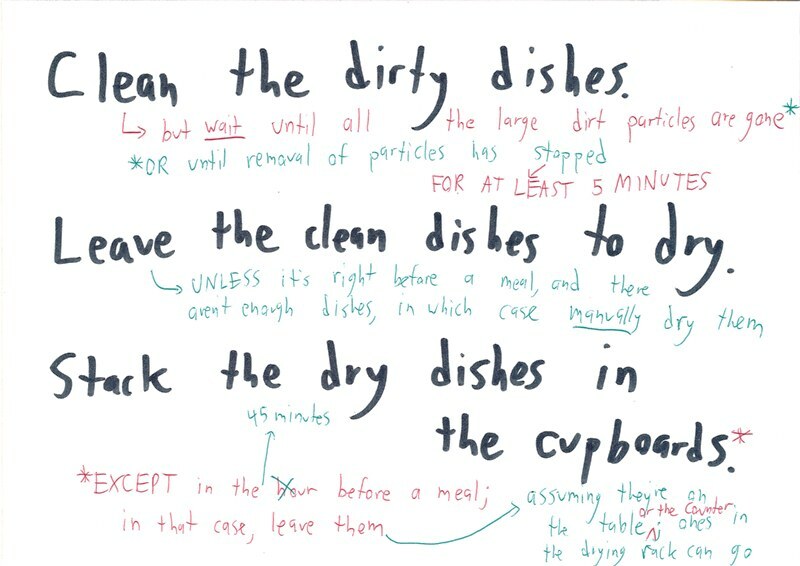 This once-straightforward task (“clean the dirty dishes”) has become a nightmare cobweb of exceptions and contradictions, in which you must calibrate your behaviors precisely based on bizarre conditions and inscrutable requirements. Ladies and gentlemen, welcome to math class. What’s missing, of course, is the crucial understanding of what it’s all for. It turns out that you can’t succeed as a dishwasher until you understand why dishes get dirty in the first place. You get to work a lot less, and think a lot more. Now, conceptual understanding alone isn’t enough, any more than procedures alone are enough. You must connect the two, tracing how the rules emerge from the concepts. Only then can you learn to apply procedures flexibly, and to anticipate exceptions. Only then will you get the pat on the back that every robot craves. With my students on Friday, I garbled the whole analogy. I tend to do that. But there’s a simple takeaway. Even if you don’t care about understanding for its own sake; even if you’re indifferent to the beauty and deeper logic of mathematics; even if you care only about test results and right answers; even then, you should remember that the “how” is rooted in the “why,” and you’re unlikely to master methods if you disregard their reasons. You have inadvertently proven the existence of artificial intelligence. I assume that all of my past employees have been sentient, intelligent beings. Hence your pet robot is a sentient, intelligent being. 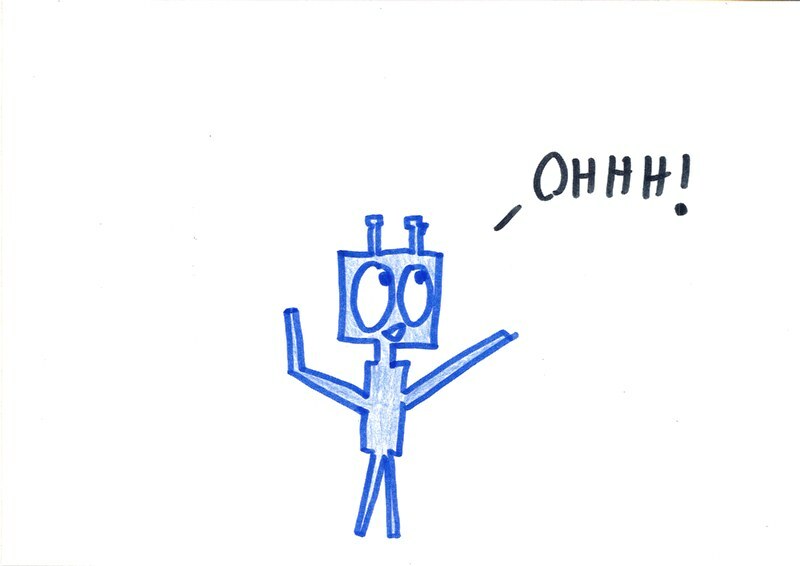 For the record (which I should clarify, because I know some of my students read this blog), I’m sympathetic to where the robot is coming from! His goals are noble! His heart is true! He’s just going about it in a way that’s bound to frustrate him. So true – if you think of the “right answer” as a reward for following the right steps (rather than a truth you need to uncover), then following the steps and NOT arriving at the right answer is infuriating! It’s like an implicit contract has been violated. Your students are crappy at mathematical reasoning because their grasp of economic reasoning is excellent. They are (overall) tested not for understanding but for results, and they have learned that the least-effort thing to do is to guess more or less wildly at the results, knowing that this will succeed sufficiently often. The only way to change this behavior is to massively shift the incentives. This is even more stark in the UK, where (as in most of Europe) university admissions are based on a handful of standardized tests. Grades given by teachers aren’t even considered. So, unlike in the US, where the assessments I designed (projects, homework, ‘effort grades,’ etc.) had an economic impact, here they’re irrelevant. A single test always gets the final word. The economic calculation is pretty straightforward for them. Any ideas what that shift of incentives might look like? The widespread adoption/acceptance of alternative assessment. So I guess that someone (else) taught them this set of rules! On the other hand, if they figured out the rules themselves there is a strong glimmer of hope. Mmm, a sadly fitting motto for math class. Amazingly enough, I’m not convinced all of them have been taught this set of rules. Certainly there’s a glimmer of hope – their ability to spot and extrapolate patterns is quite impressive! What’s hard is communicating to them which patterns are worthwhile, which are meaningless, and which are true-so-far-as-they-go-but-not-intellectually-fruitful. But figuring this out for one’s self is what maths is about. So long as the ideas and methods remain compartmentalised progress in that direction is going to be limited. 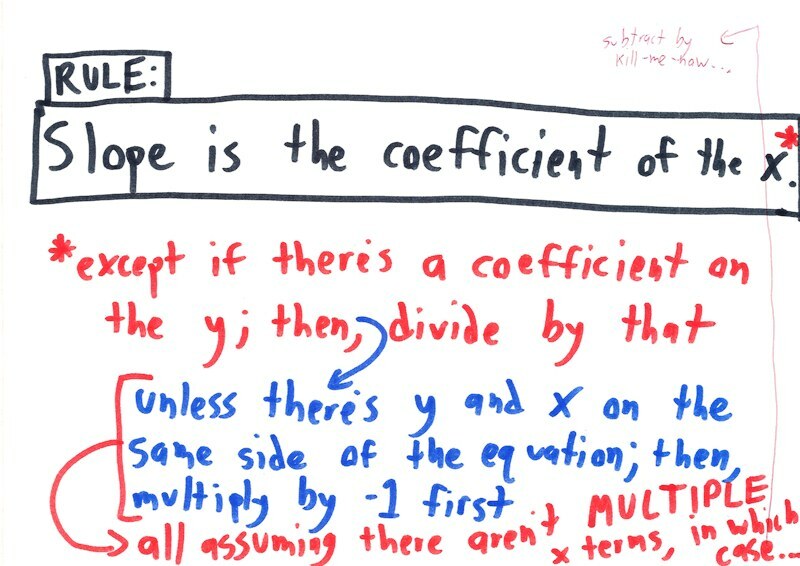 Slope problems are nice, as there are several ways of looking at the situation. When everything is “x” and “y”, one’s view is constricted. Reblogged this on Programming ASAP. Thank you! I have been quoting the wrong guy!! Good thing I am not a lit teacher…. 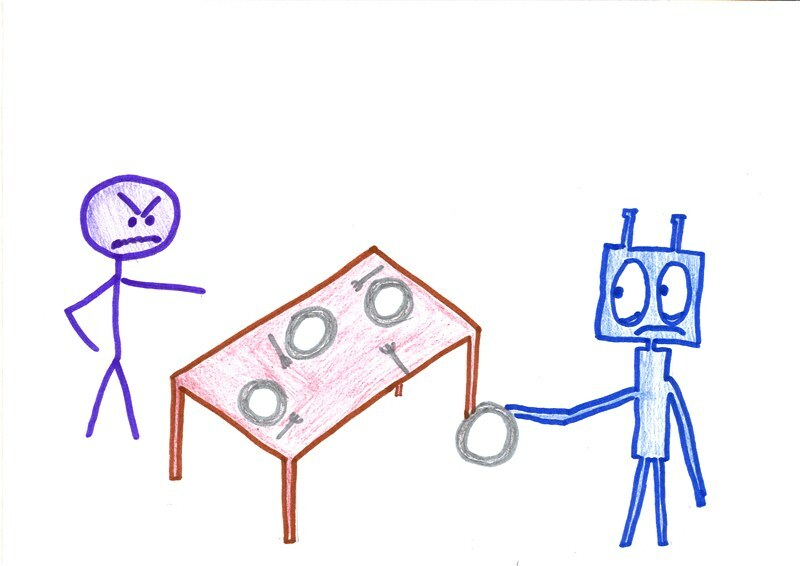 I’d love for “dish-washing robot” to become an idiom people use. It captures this mentality so well. I have a request, which ought to do some damage to the dishwashing robot mentality: stop making the answers come out to be neat integers. Suppose I have some orange squash which says to dilute it 1:4 squash to water, how much diluted squash will 3/4 of a litre make? I suspect many students on auto pilot will see the 4 and the 3/4 and say 3 litres! Ha! But that is partly because they have been conditioned to expect a neat number to come out. I guess the generalisation is to find questions which are trick questions if you’re on autopilot. This is one of the most interesting posts I’ve ever read. Absolutely loving your blog, have been binge-reading it obsessively for the last couple of days. Keep them coming! As an aside, it is reminiscent of the conflict between traditional explicit rule-driven AI and “deep learning”, where the bigger goals are specified and rules built up by the robot in a bottom up fashion, from smaller rules, using the goals as a rough guide.